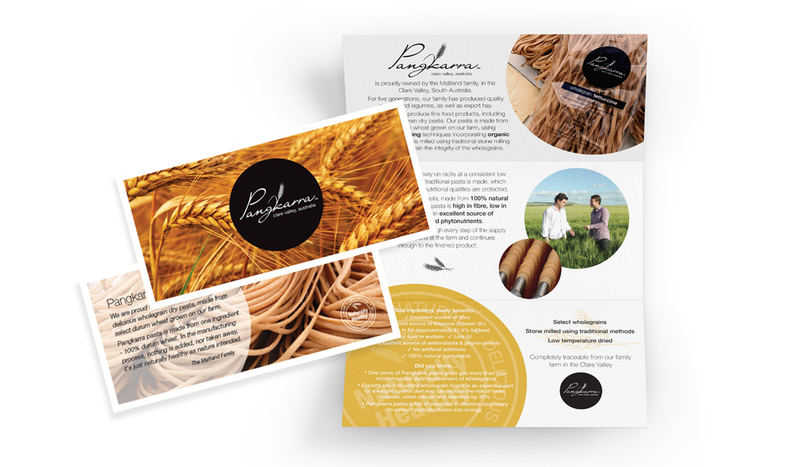 The initial brief from the Maitland family, wheat farmers from the Clare Valley in South Australia, was to highlight the quality and health benefits of their product. 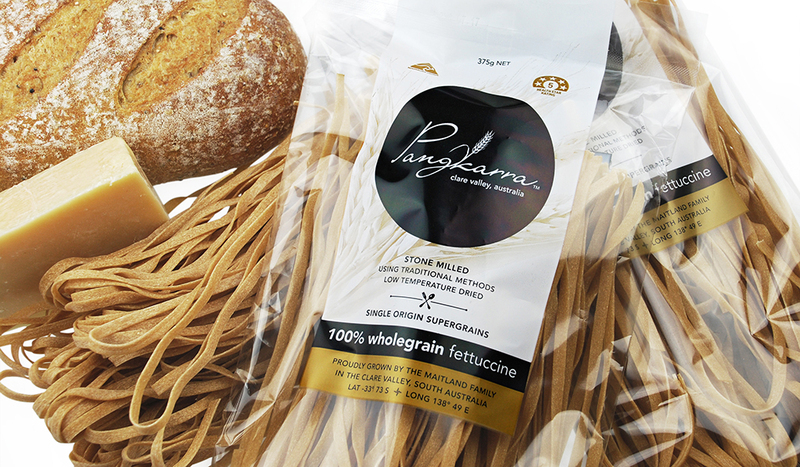 As a start up company the packaging and logo design needed to reflect the families ‘from paddock to plate’ philosophy and the wholegrain goodness of the pasta they are producing. 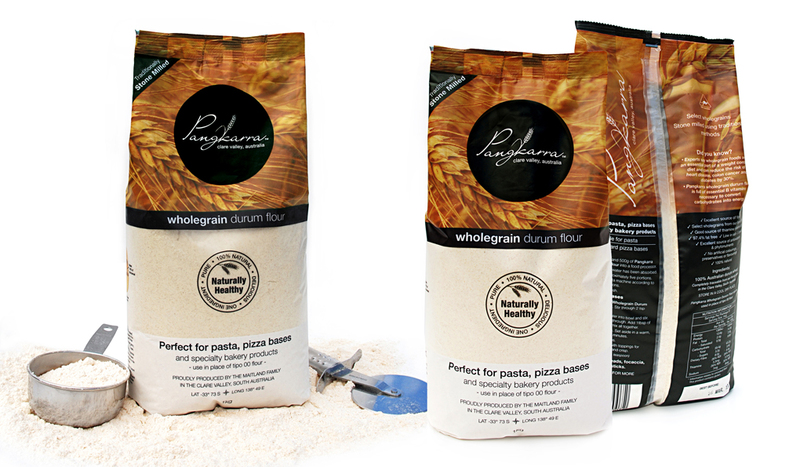 The wheat picture used is an integral part of the brand, highlighting the families wheat growing origins. 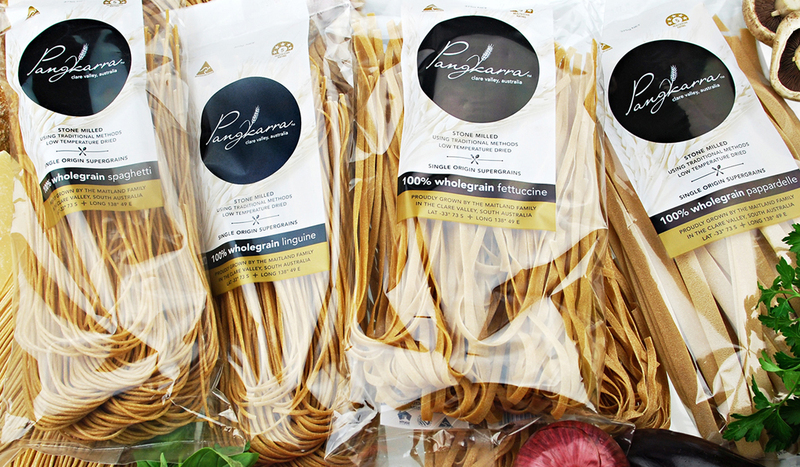 Longitude and Latitude co-ordinates are also used on the packaging emphasising the ‘single origin’ nature of their produce. 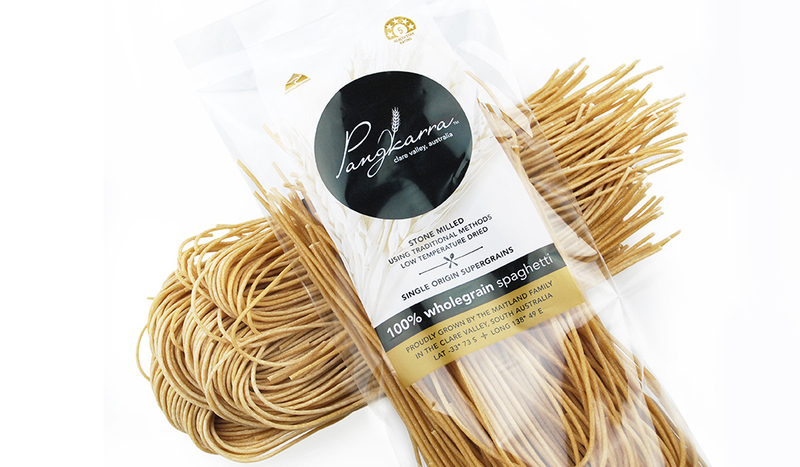 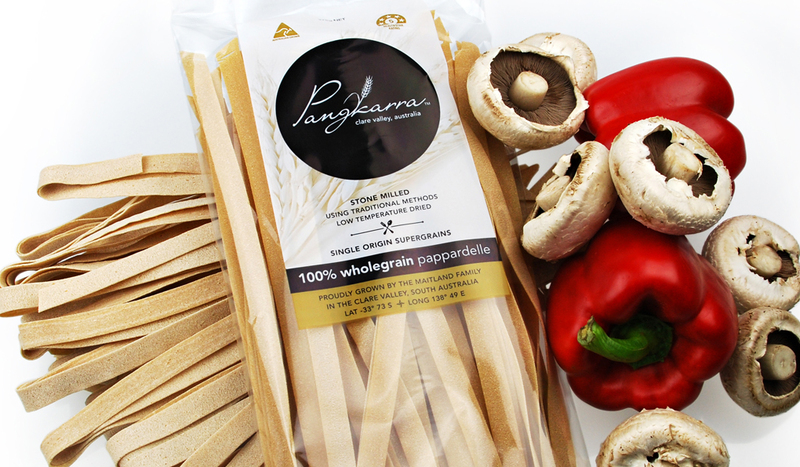 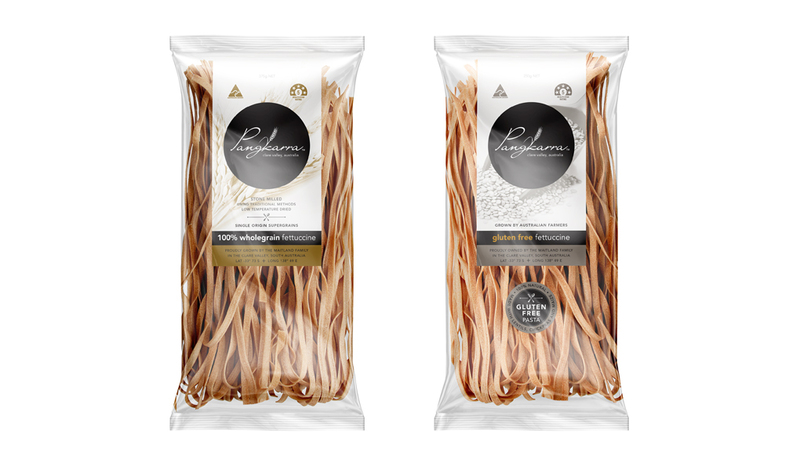 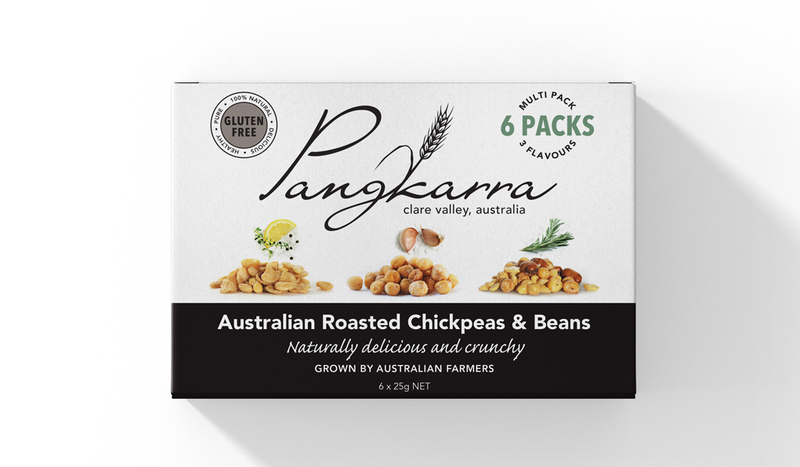 Projects for Pangkarra have included pasta bags and boxes for export, flour packaging, lavosh and grissini packaging, roasted pulses and chickpea puffs. 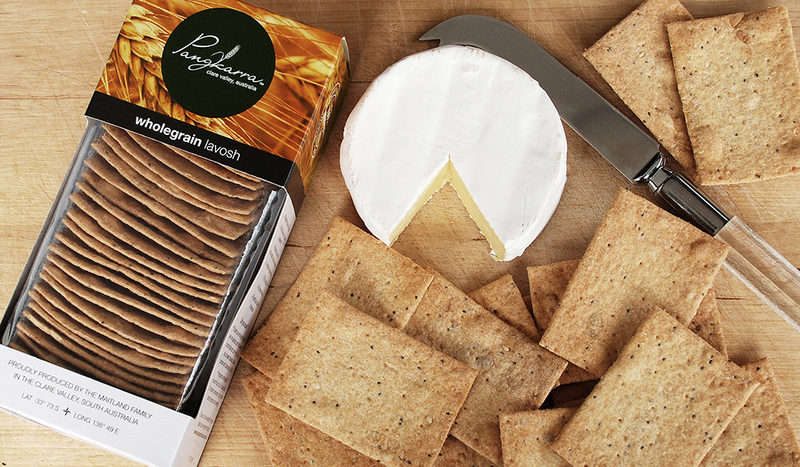 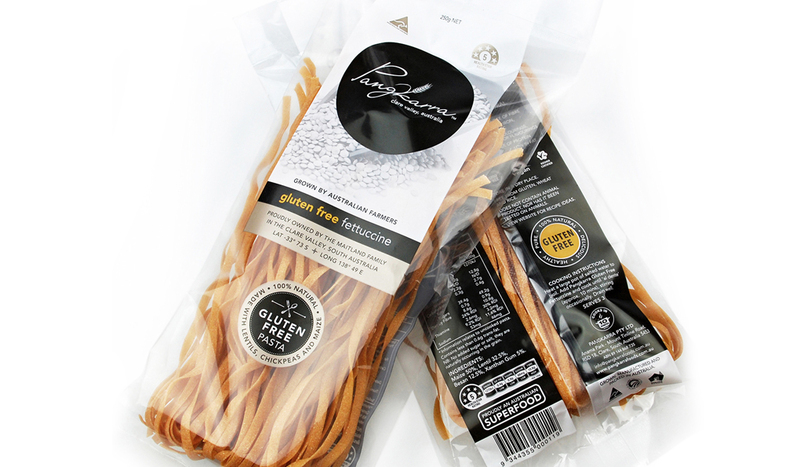 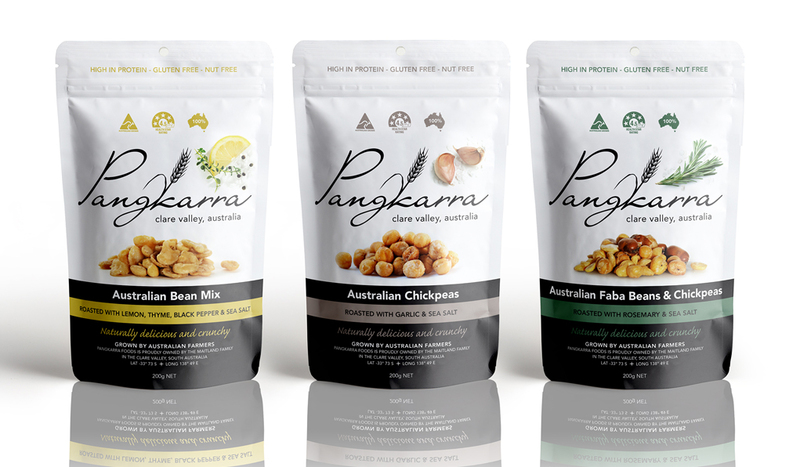 In 2015 Pangkarra introduced a Gluten Free range. 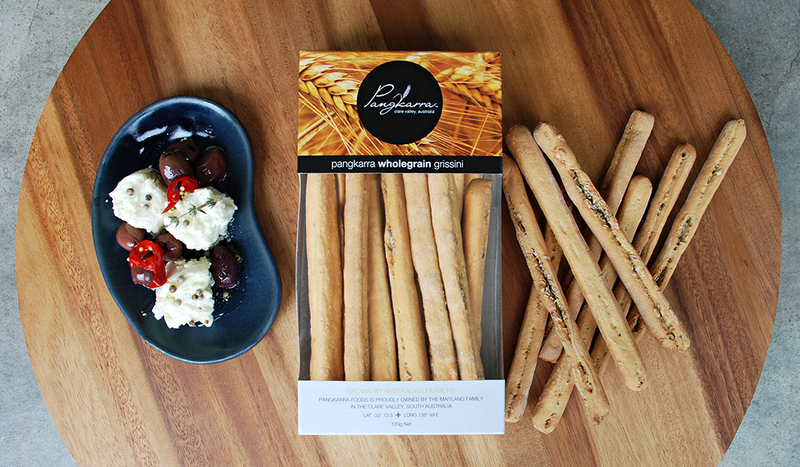 Once again Kylie Pye Design worked closely with the Maitland family to produce a beautiful range of packaging to represent the origins and quality of the product. 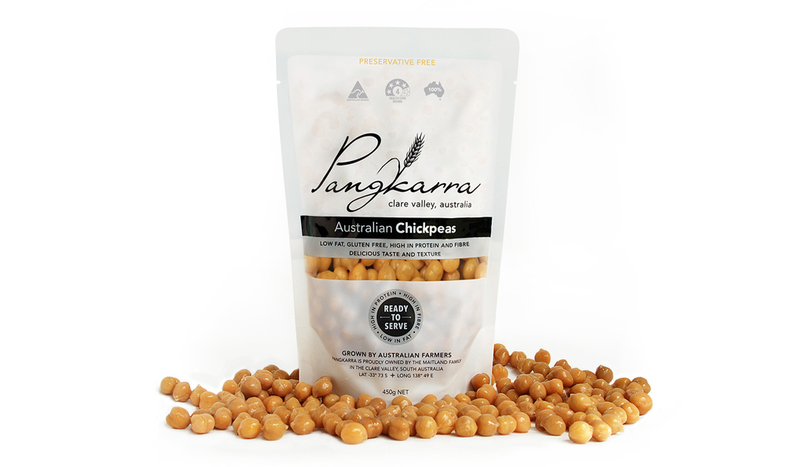 In 2016 Pangkarra launched pre-soaked chickpeas from locally sourced produce. 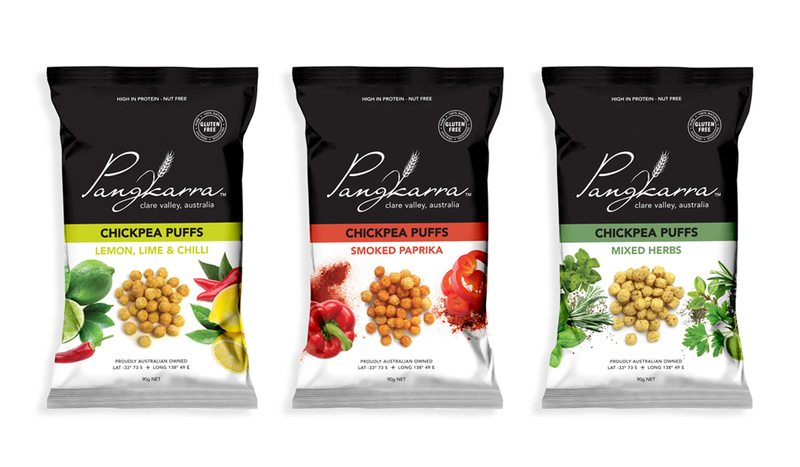 A range of healthy roasted snacks using Australian pulses and packaged in pouches was introduced to the market in 2017. 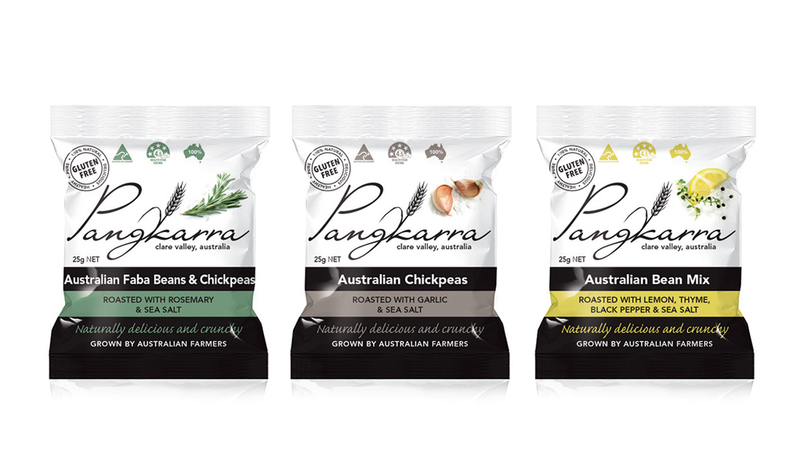 Pangkarra expanded this range into 25g and 50g foil packs including a new ‘Multi Box’ offering. 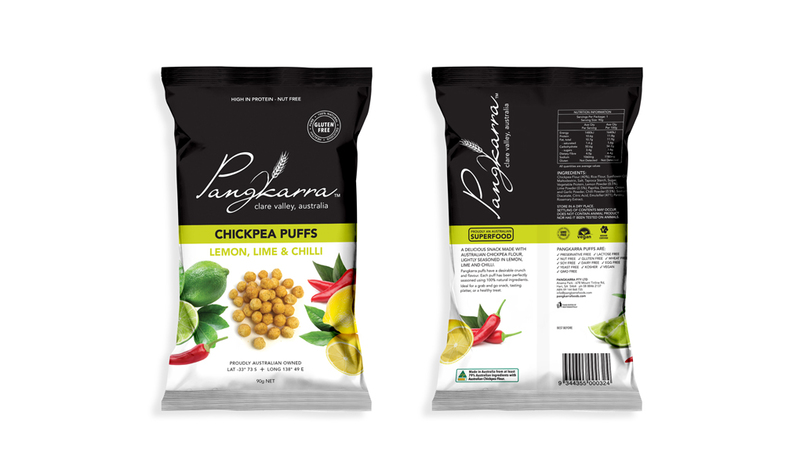 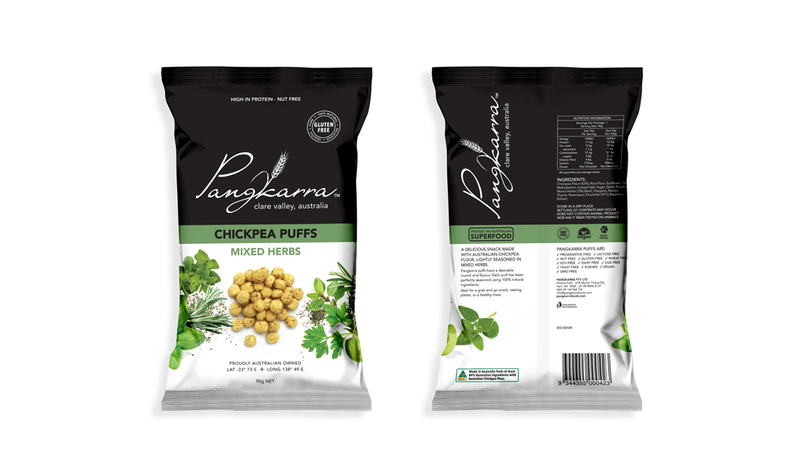 In 2018 Pangkarra launched 90g Chickpea Puffs in three flavours.